If you’ve been in a major accident, need a windshield replaced or are trying to get rid of that unsightly rust, Metalmaster Auto Body can get the job done right. Feel confident your repairs will be done properly and with a quick turnaround. 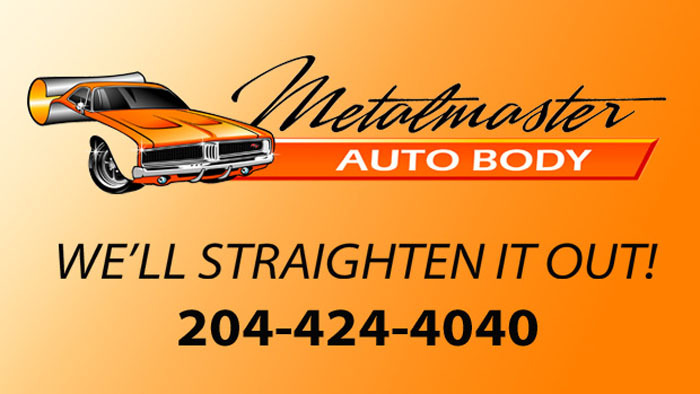 Metalmaster Auto Body staff is thorough and dedicated to their craft, with assistance that goes beyond taking care of your car. Let the knowledgeable staff at Metalmaster Auto Body assist you when dealing with MPI adjusters and understanding your insurance papers, answering any questions you may have regarding your claim. And if you need a car while the work is being done, Metalmaster Auto Body is pleased to provide you with one – complimentary, of course.